It’s a beast! 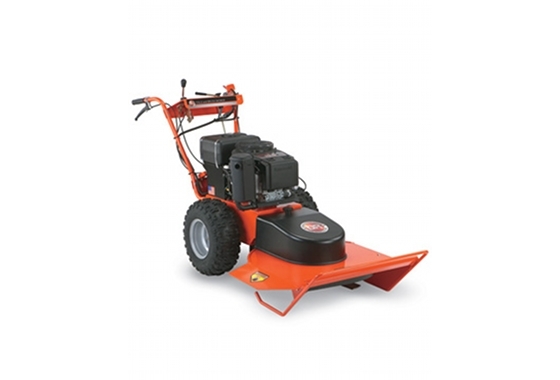 The DR® All-Terrain Field and Brush Mower is an amazing mower – it mows and chops all types of vegetation, cuts brush, brambles – even 2″ thick saplings. It turns your problem areas into an attractive, low-maintenance meadow that you need only cut once or twice a year. It’s self-propelled, and can get where large equipment can’t – for example, to thin undergrowth in woodland. Lockable Differential Provides Complete Control: Choose the drive mode that suits your terrain. With a flip of a lever, engage the differential and you’ll have both wheels “locked” together, for superior pulling power when working in rough terrain, on hills, and in mud and snow. Blade Clutch: Pull the blade clutch lever and the blade starts spinning, release the lever and a powerful brake stops the blade almost instantly. Pivoting Mower Deck: Automatically follows the contour of the ground by pivoting 12 degrees to each side. This action minimizes scalping and improves traction in uneven terrain by helping to keep the weight of the machine on its drive wheels.